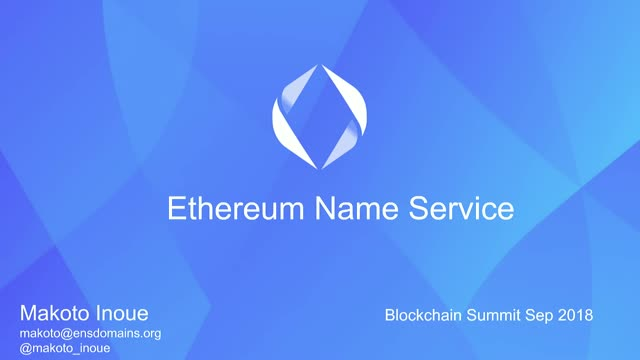 ENS (Ethereum Name Service) offers a secure & decentralised way to address resources both on and off the blockchain using simple, human-readable names. As DNS (Domain Name Service) resolves 216.58.198.174 to 'google.com', ENS resolves '0x5ffc01...' to 'makoto.gitcoin.eth'. ENS has been live for over one year, handling over 180k names, being one of the most actively used Ethereum smart contracts. In this talk, Makoto will cover the following topics.